Thanks - yes it was the TV in the end. 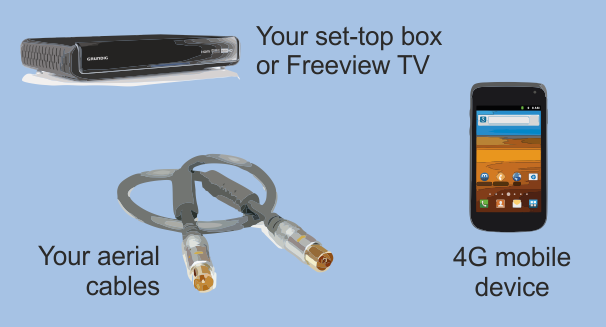 I have attached a new Freeview box with HD and SMART connections - fantastic! Job done! I live in West Sussex (RH20) and pickup my signal from Midhurst I believe. Up to 00:10 on the 15th the signal was fine, yet today all 3 of my TV's (Sony, Toshiba and Samsung) are saying poor quality signal, but good strength??? I've re-tuned all of them, reset all the cables etc, but there's just not enough signal to produce a picture. To be honest the re-tune has lost all the BBC services and only picks up ITV, Channel 4/5, More 4, E4 etc. Things had been working fine for years and I don't suspect any ariel issues, but going to check that out next. 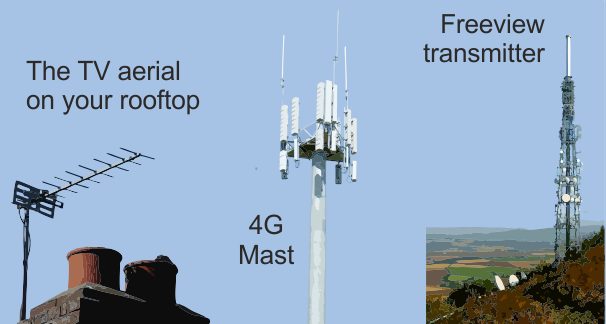 I noticed there?EUR(TM)s some work on an IOW transmitter at present?EUR? could I be tuned to that? Normally if you have strength but no quality the distribution amplifier (if you have one) has failed. They can fail very quickly which fits in with what you describe above. If you don't have an amplifier then I would suggest waiting for the transmitter works to finish. Hi, I have noticed a number of alarm systems operate around 868mhz, does anybody know if its likely 4G could in anyway affect systems like this. John Taylor: 868MHz *WAS* allocated to "PMSE" (programme making and special events). This frequency was cleared and has now been sold to O2 for 4G operations. Assuming you don't mean on a closed (CCTV) system, use of this frequency for another purpose would constitute an illegal broadcast, and must cease forthwith. Briantist: Thats brilliant thank you! John you are correct the 868Mhz frequency is also used for short range transmitters. These are items like wireless alarm PIR's and remotes for electric gates etc. these are prone to interference, many customers have complained that their gates have opened without them pressing their remote. The 868Mhz frequency is approved for these devices. Thanks for the additional information, who is this approved by? and do these devices not class a pmse?